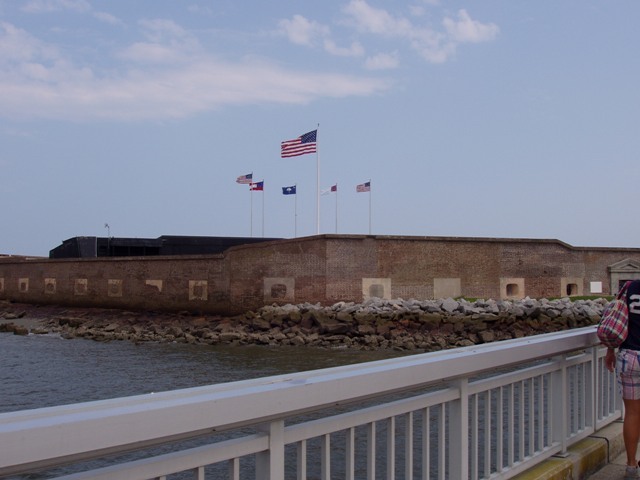 What South Carolina vacation would be complete without a trip to Fort Sumter? On our last day in Charleston, we hustled about the historic district, trying to fit in as many historic building tours as possible. 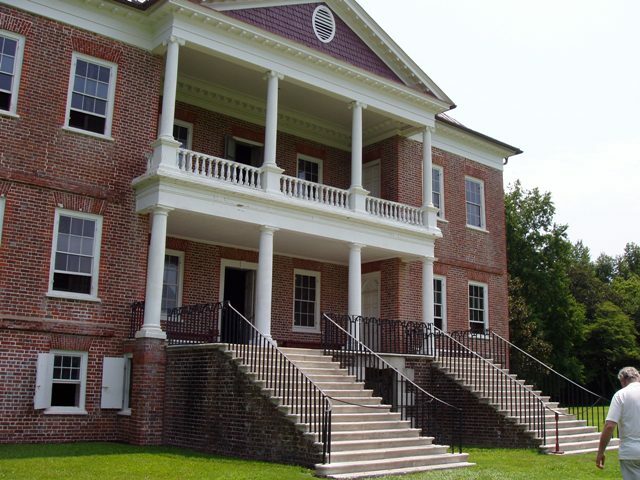 We also managed to tour the oldest original plantation home in the state – Dreyton Hall. 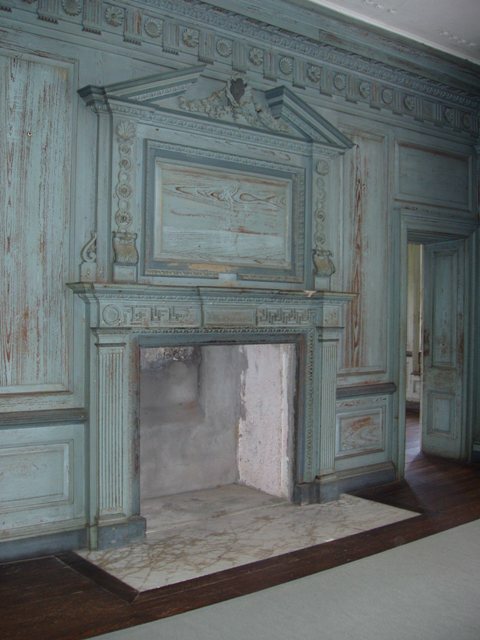 This home was built in 1725 and while it stands empty, it stands. 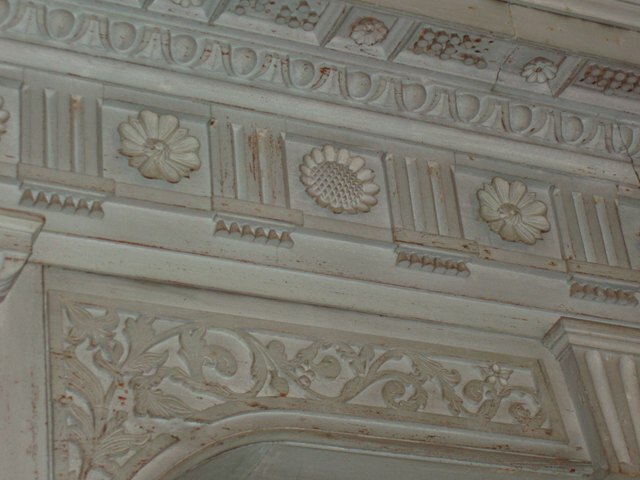 The paint on the walls has faded with time, but the history and grandeur of the home is still quite evident. We were fortunate to have a tour guide whose expertise was in architecture. The details of the structure were too many to recall but fascinating as they were heard. The reason this home escaped Sherman’s burning of the city, was because of a sign posted on the property. What was written on that sign? 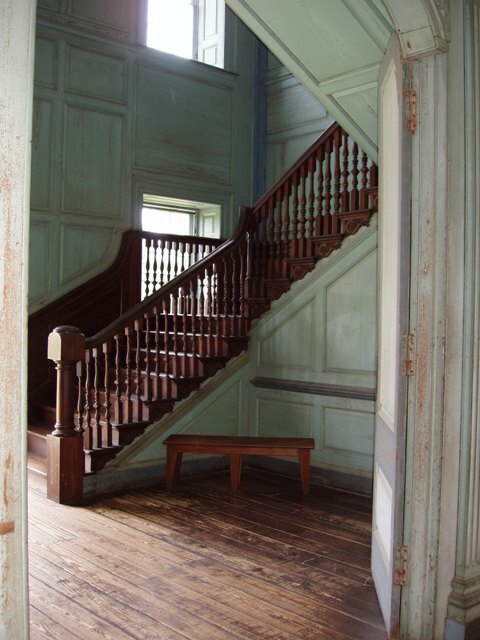 It stated that the home was used as a hospital to treat people infected with small pox. Was this true? Well, we will never know for sure but we are grateful for the sign whether sad truth or ingenious lie. This final day in the Carolinas was the hottest. Nearly 100. We’re told that’s actually about 20 degrees cooler than it normally is there at this time of year. That worked out well for us, because of all days, we lost our car. 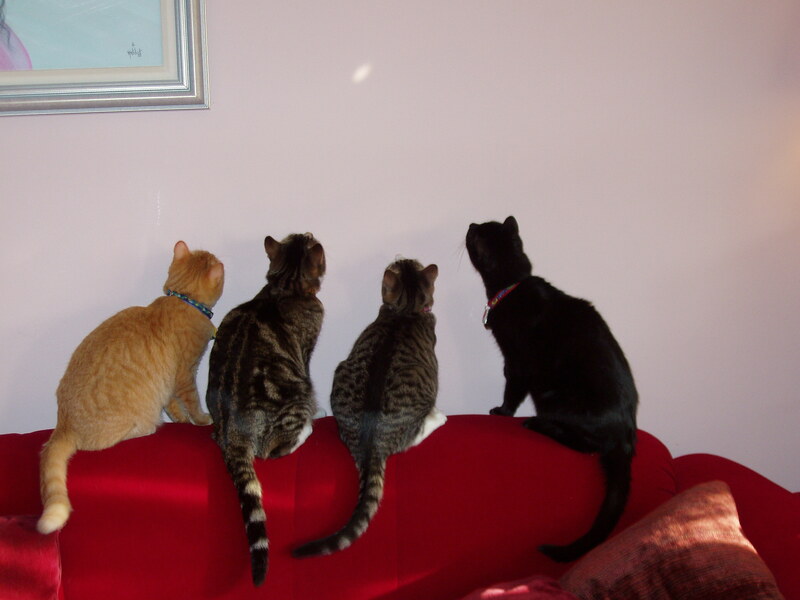 <sigh> We must have circled the same area seven times before we finally found it. I’m guessing all the driving, touring and heat finally caught up with us and delirium took over. However, we found the car and managed to get to our Fort Sumter ferry in the nic of time. NIC of time. What an amazing place this fort is. The outer walls are five feet thick. Mortar shells can still be seen in the walls and the original flags – from Union as well as Confederate troops – are on display in the museum there. 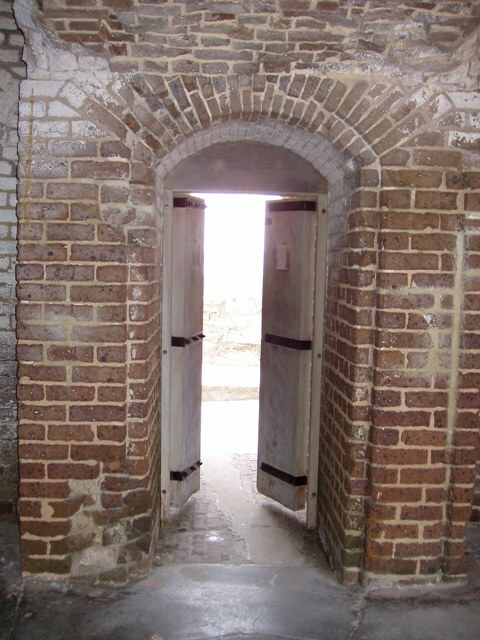 The Union officer in charge of the fort at the start of the war – Anderson – told his men to sleep in the morning of the original bombardment of the fort by the confederates. 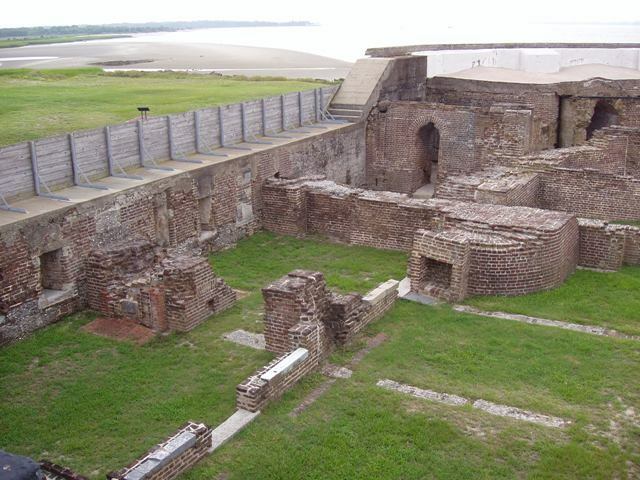 He knew the fort was tenths of a mile further than was needed for a cannon ball fired from the mainland to do damage. However, Beauregard, a confederate officer who had trained under Anderson before the Civil War (which in Charleston, btw, is referred to as either The War Between the States, or more often as The War of Northern Aggression) ordered his men to fire up the cannon balls. They heated them to a red glow and fired them off. They didn’t blast through anything but they did start several fires and between putting out the fires and firing back, the limited Union troops were overtaken and Fort Sumter fell into enemy… oops… Confederate hands. 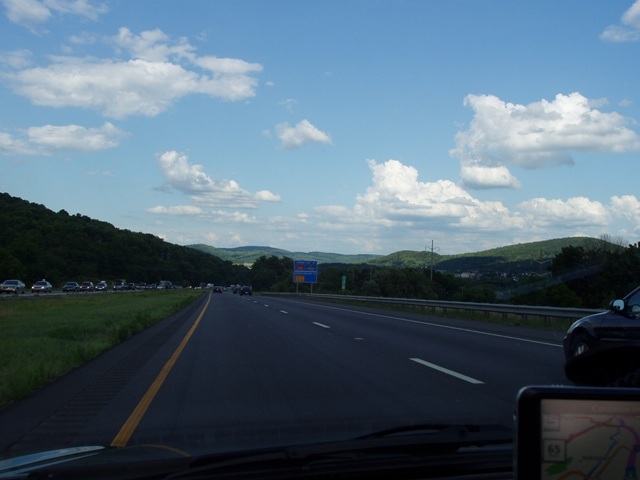 We were up early the next morning, ready for a 9-hour drive up to Gettysburg, Pennsylvania. Our goal was to get there in time to have dinner at the Farnsworth House. If ever you are in Gettysburg (I may have already said this, but it’s worth repeating) GO to the Farnsworth House. Eat in the garden or in the dining room, it doesn’t matter, just eat there and make sure you have their spoon bread and pumpkin fritters. Heaven on earth. With a few ghosts thrown in. LOL. We barely made it in time for dinner, btw. 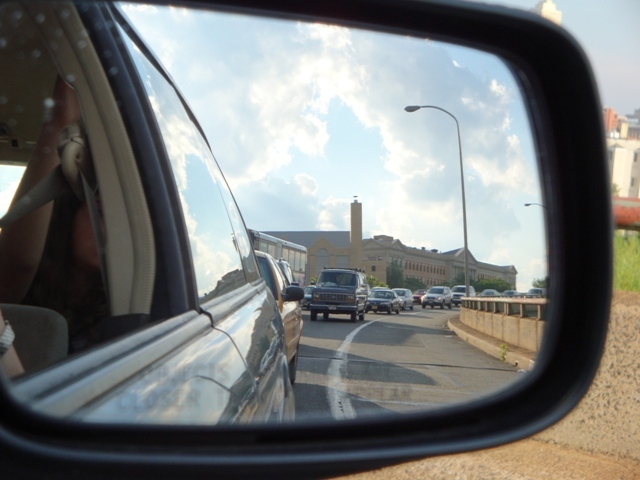 We hit traffic in D.C. and lost a full hour. Ten hours on the road made us want to drop into bed instead of eat, but we went anyway and were VERY glad we did. …and then we drove the battlefield with an audio tour CD. Too much information to absorb on one listen, but clearly bloody and disturbing. Then again, it was war. 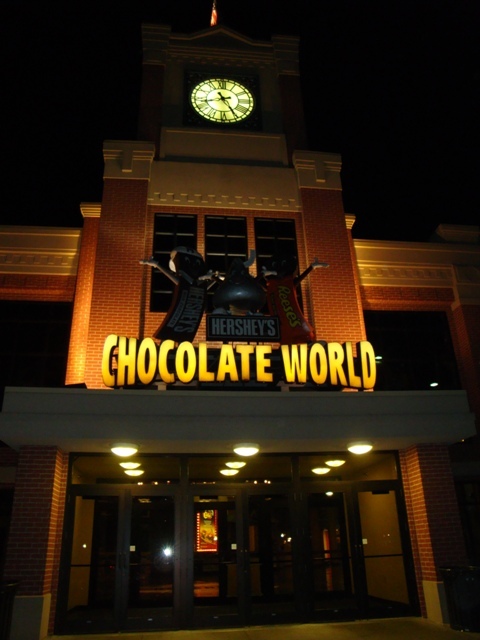 After the battlefield tour, we drove an hour to Hershey, PA. Chocolate Town! 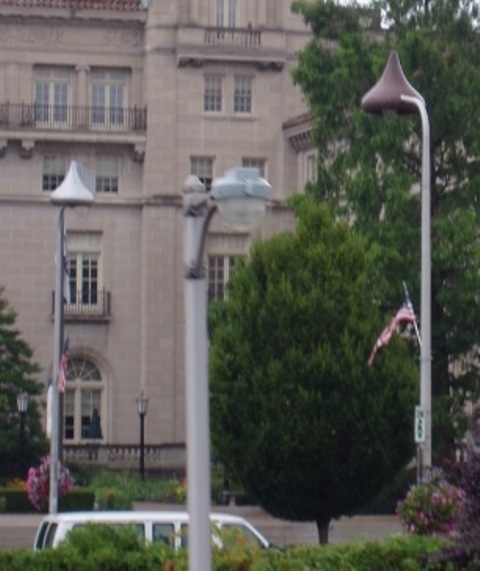 With Hershey kiss-shaped street lights. 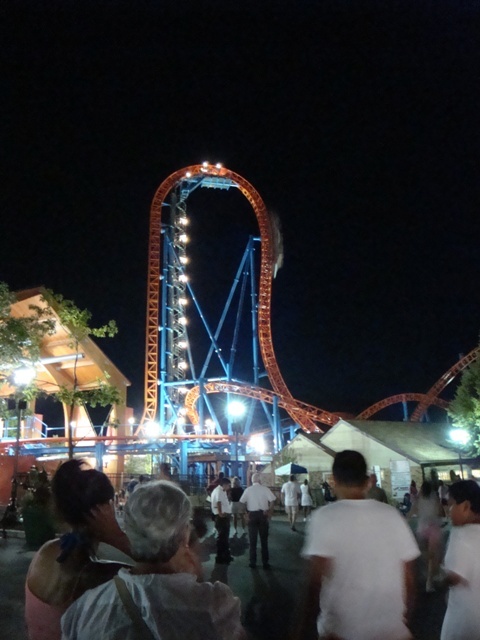 The park was a thrill – what amusement park isn’t? 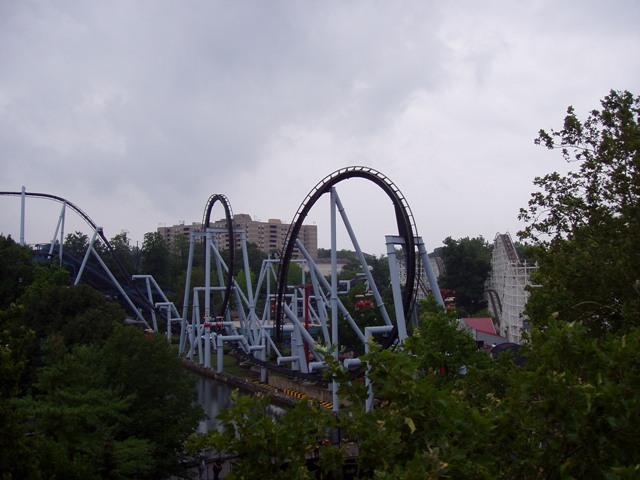 And though it rained on us the next day – so hard at one point, they shut down all the rides – we had a blast. It took us two days at home to recover but we’re raring to go now and already looking ahead to next year. But first… we have over 1,000 photos to sort through and place into albums. So… if I’m AWOL again, you’ll know where I am. Sitting in front of mounds of photos trying to recall every facet of our wonderfully adventurous trip. Thank you for letting me share my family vacation with you. We, obviously, had a great time and I hope you enjoyed hearing about it. Well, Thursday evening was slightly stormy here and yet we had reservations for a dinner cruise. It’s always that way when we’re on vacation, so we dressed up and, with umbrellas in hand, off we went to the pier. Yes. It rained. Hard at times, but we still had a phenomenal time. There was a wedding reception on the boat during our three-hour cruise. We had a two-piece band for wonderful dinner music then dancing afterward. 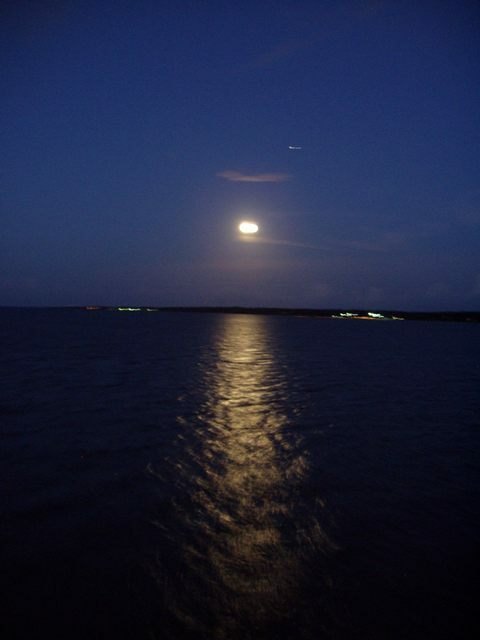 The moon on the water was glorious and the food… ah… the food… unbelievably delicious. Mine was a cooked-to-perfection salmon fillet on fresh mashed potatoes with a honey and brown sugar glaze. Dessert? Key lime pie. A perfect, perfect evening. Friday we headed over to one of the many plantation homes here. 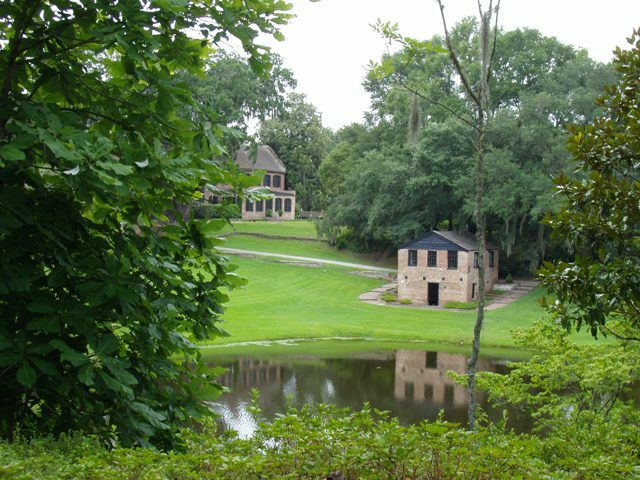 Middleton Plantation. The disappointments for us there were many. 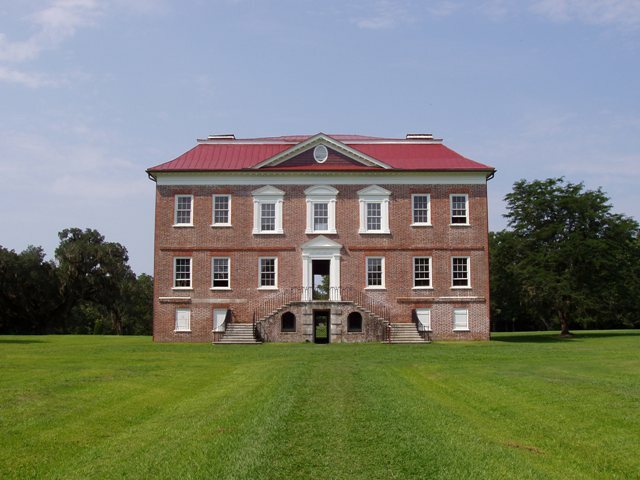 First, as mentioned in not one of their advertisements that I noticed, various tours of the plantation – including a narrated horse and carriage ride and a slave’s life tour – were given only until noon while the property and house are open until 5:30. We arrived late after enjoying the hotel pool for an hour before starting our day so not one of the extra tours was available to us. Sadly, the cost of admission to the plantation was not a penny less despite the lack of tour ability. 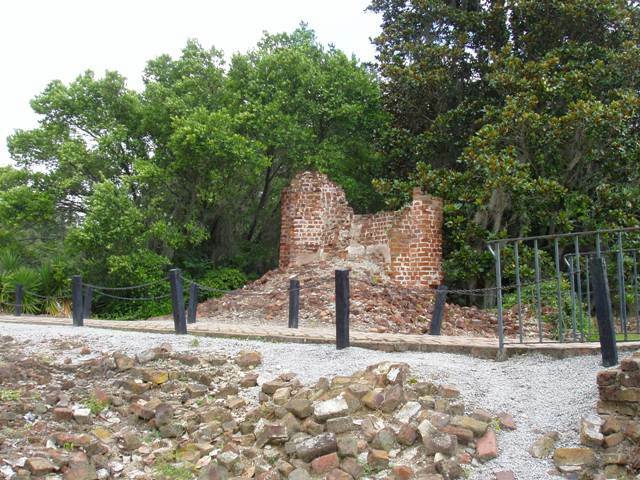 The other disappointment was a biggie – the original plantation house was burned down by union soldiers after the civil war, and so, the only thing remaining from that period are ruins. This was not mentioned anywhere or at anytime until we arrived at the plantation and paid. However, we did enjoy a tour of one of the later-built flank buildings. Considering our car was the last in the parking lot at close of day, I’d say we made the most of what was available to us. There were costumed interpreters in the fields, in the barn, the mill and more. 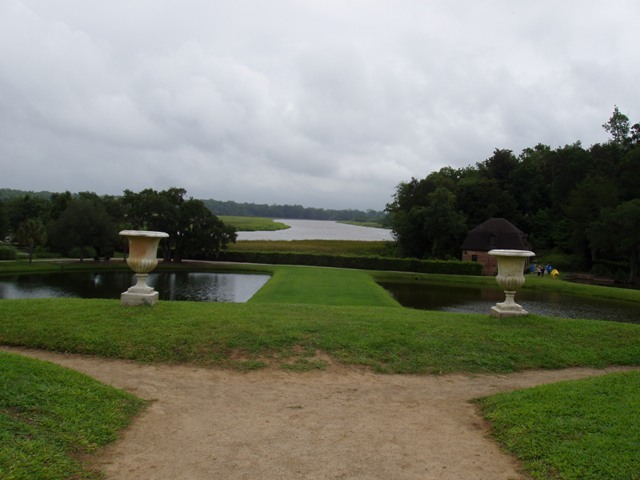 And the grounds themselves – acres and acres – were just a wonder to see. How on earth did one family amass such wealth? Rice. Slaves from Africa brought with them a knowledge of growing that precious grain and then were forced to apply that knowledge for a headmaster who made it into a booming business. A business that has allowed generation after generation to own and operate the property to this day. After admiring the grounds, the reflecting pool and gardens, we were humbled and saddened to be brought back to the reality of the times. 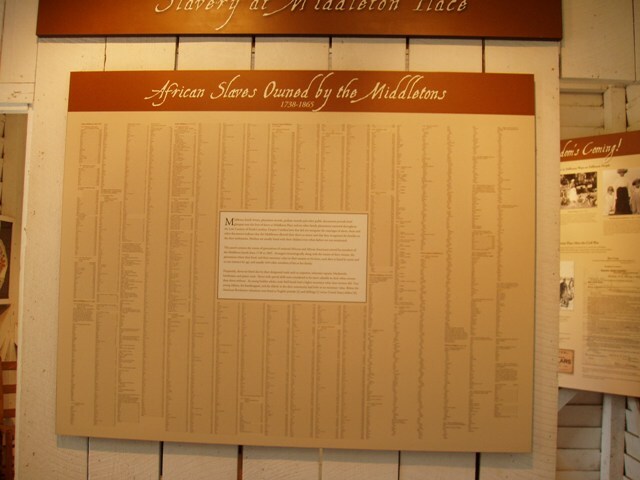 The Middleton family owned hundreds and hundreds of slaves, and a list of their names is posted in one of the still-standing free-slave homes. Also posted in that home was the 10-pound ‘reward’ notice for the capture of an escaped slave as well as the 20-pound reward for information about who might have been harboring that poor soul. It was amazing and sickening to me to see how important it was to slave owners to not only recapture their slaves but to put double the price on someone who dared to have a heart and give them refuge. I know it was the ‘times’ but it’s simply impossible for me to comprehend. 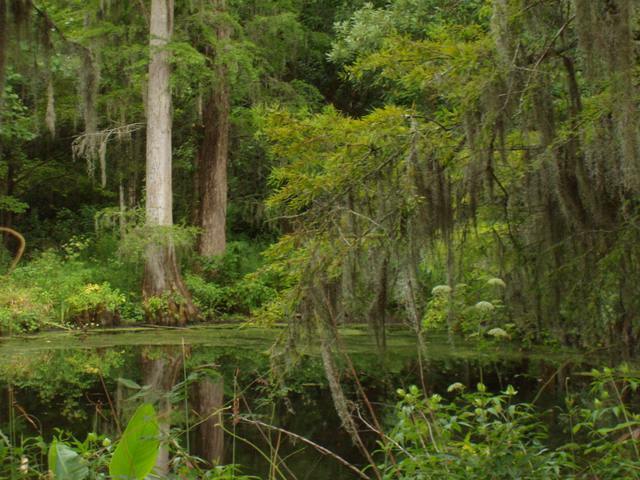 Today, we toured another plantation – Magnolia Plantation. Rice was the same product of this plantation. 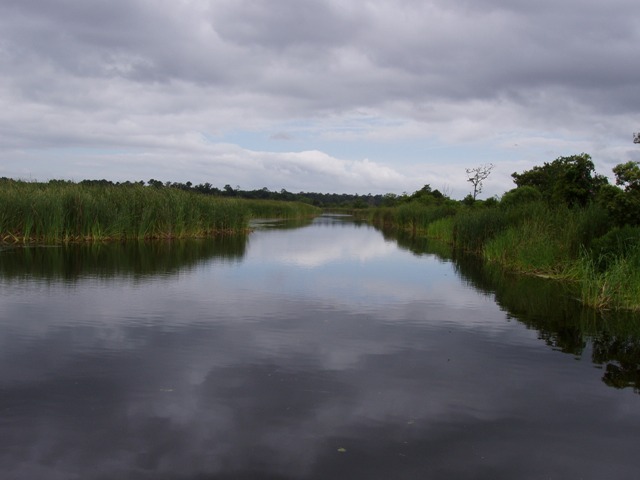 Fortunately, we were able to take a boat tour along what was once a rice field (over 100 years ago) but is now flooded and home to an abundance of wildlife – including alligators. Alligators! We spent the day before at Middleton Plantation searching for some sign of alligators, then we came to Magnolia Plantation and there they were. Everywhere! 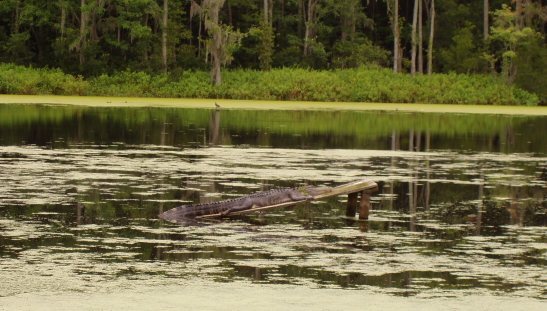 Planks for the alligators to sun on were built when water was drained from the rice fields. 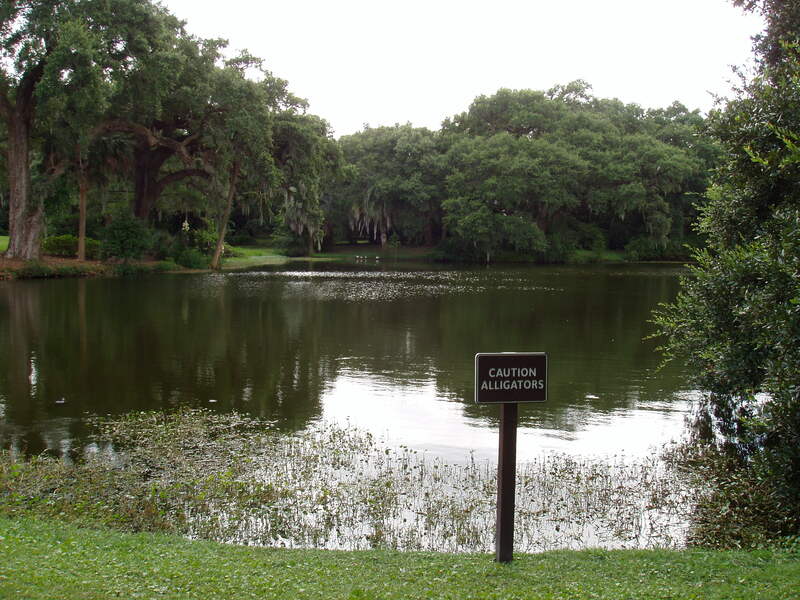 This was done because there is a ‘nature train’ that takes visitors through the property and often the alligators would be blocking the road, trying to warm up and dry off. Thinking it better to keep them away from the wheels of the train – not to mention human flesh ON that train – the planks were built in the middle of the fields. 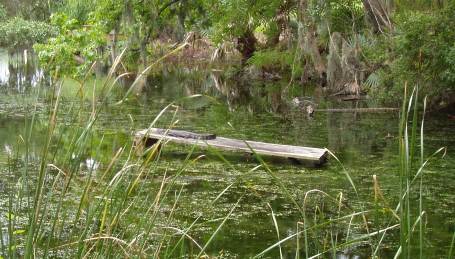 Once the fields were flooded again, the alligators started sunbathing there on their own. Win-win. 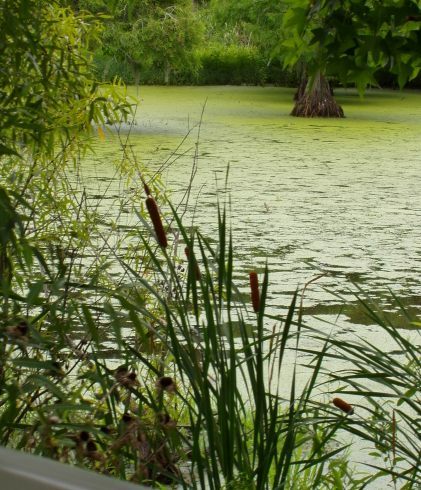 There is so much more to tell you but I’ll close with an observation – in history and today, humans, animals, and indeed even plants, take advantage of those less able to defend themselves. The European settlers turned on the Indians who befriended them and hoped they’d help protect them from more powerful tribes. Europeans, Americans and more abducted Africans who were less organized and less likely to revolt or commit suicide rather than be enslaved. 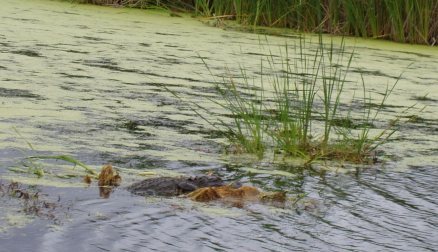 Slaves threatened their children with ‘hard labor’ if they did not behave… alligators eat ducks, turtles, etc… but when alligators have their young, they must move them and guard them closely because baby alligators are a particular favorite of owls… who move into the area at breeding season. So I wonder… when the moral compass kicks in and some of us decide not to take advantage of those weaker than us, does that make us the weaker ones? If we were threatened would we fight to the death or bend to the will of those stronger than us? And would we reproduce? Bring children into a world where they, too, would be beaten, threatened, owned? If truly pushed… if our children or our parents were threatened… would we toss that moral compass and become as twisted as those in power? It’s disturbing to think of the evils man has done to man. It’s disturbing to think we’ve seen the horrors of it in the past… and yet on various levels, it’s still happening today. These plantations were beautiful – the homes, the grounds, the views – but the way in which they gained their beauty is as ugly as it comes. Tuesday we drove and drove and drove. 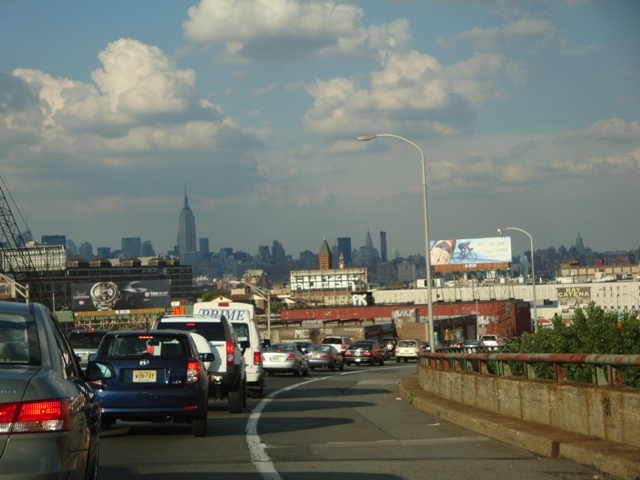 We drove for so many hours from New York to Charleston, that by the time we arrived, we were all dizzy with fatigue. However… we’d arrived! 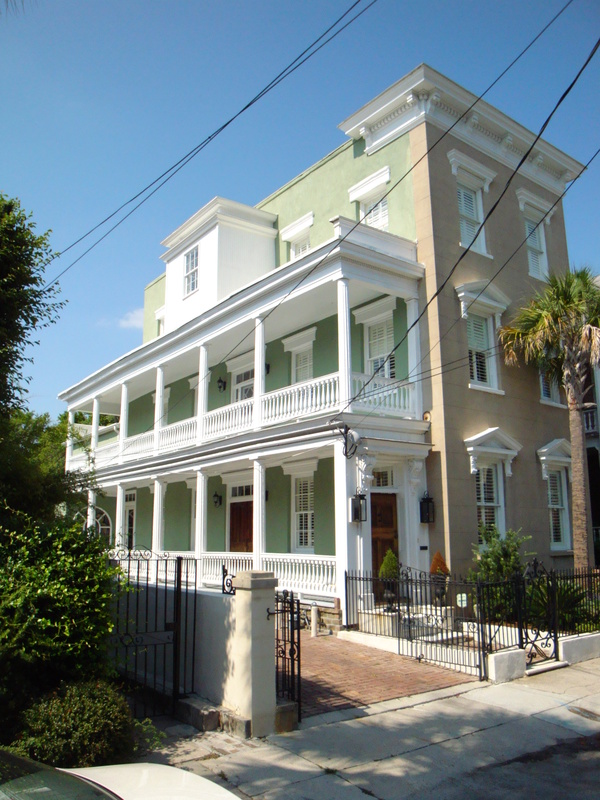 Downtown Charleston – the historic district – is a mirror into the past. 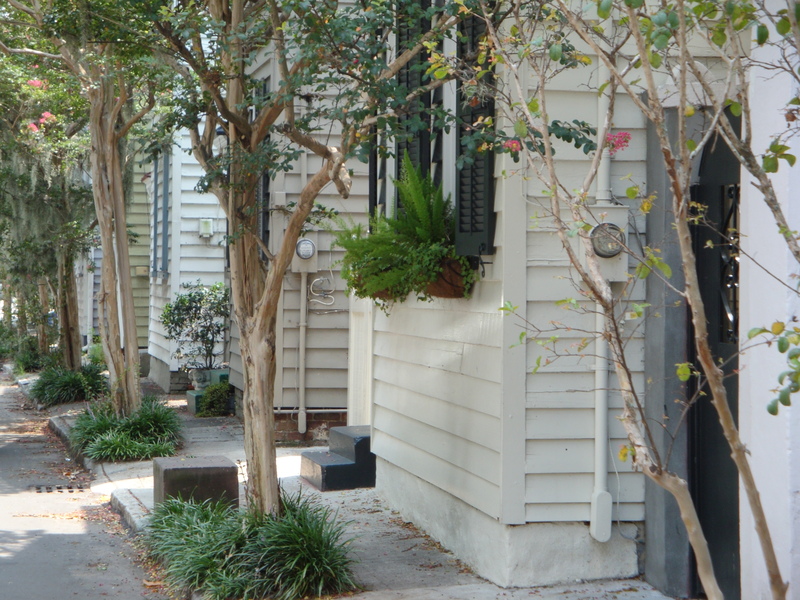 Stunning porched homes with crape myrtle blooming in the yards, sit close to the street and close to each other. The area now is almost exactly as it was 200 years ago, and honestly, when we blurred the vision of autos and parking meters, we could just about see hooped-shirted ladies with parasols strolling down the narrow walks. Sadly, it seems much of the town has not had the funding it very much needs and deserves. 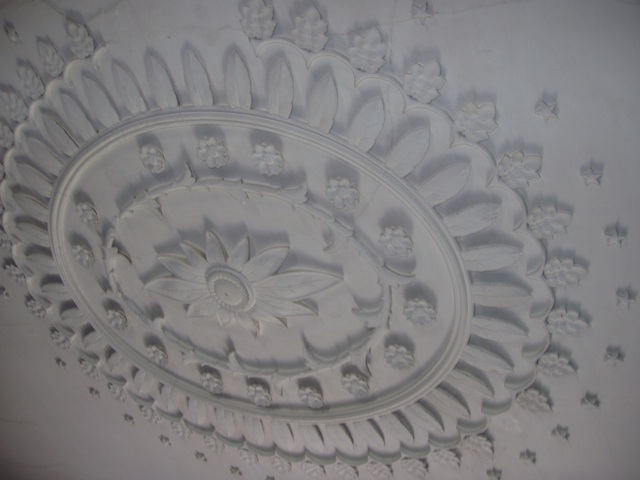 However, attempts are clearly being made to restore some of the old and glorious structures. 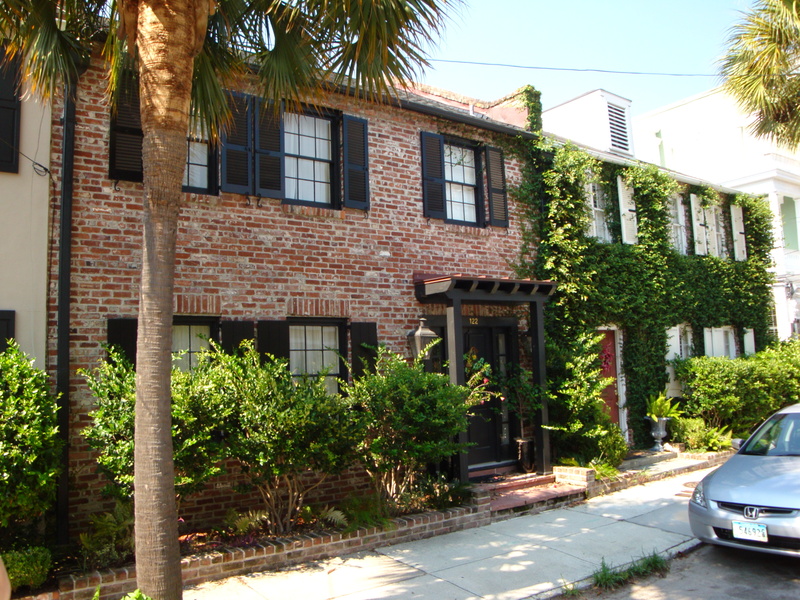 While the everyday homes were a joy to see, the homes along the battery were a wonder for the imagination. 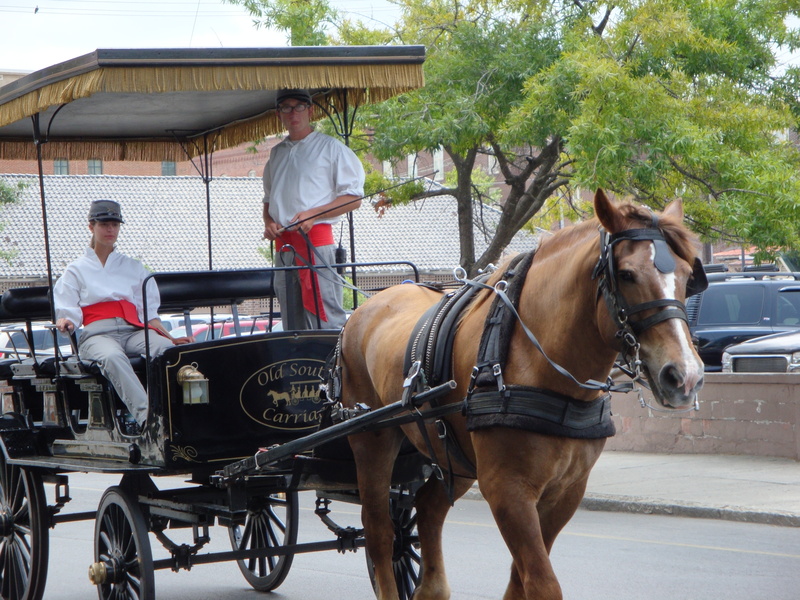 Our first full day here included a narrated horse and carriage ride through town and then a walking ghost and dungeon tour in the evening. Though we never met up with a spirit from the nether world, I can assure you, it wasn’t for lack of trying. We even had dinner in one of the ‘haunted’ restaurants. No one haunted it while we were there (that we know of), but that did not stop our imaginations from wandering – and after all, isn’t the imagination the most playful and exciting thing there is? 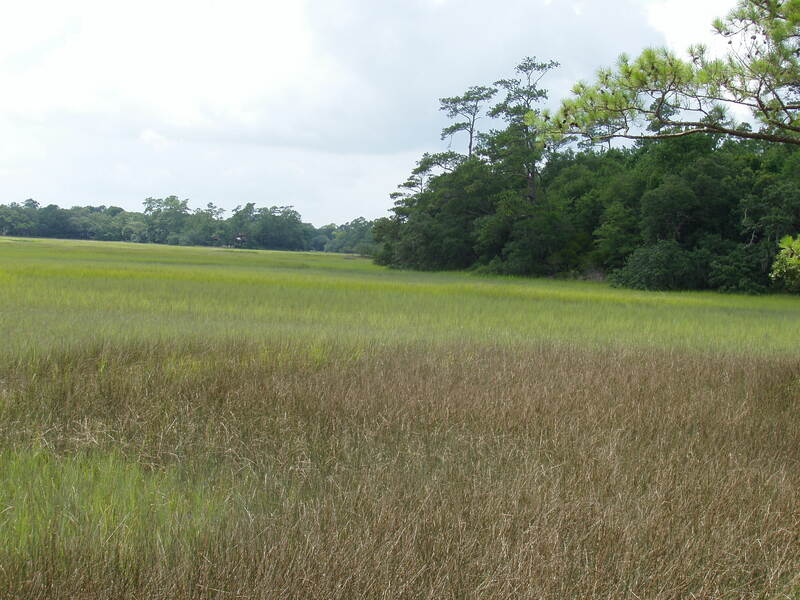 Today, we toured Charles Towne Landing Historic Site. 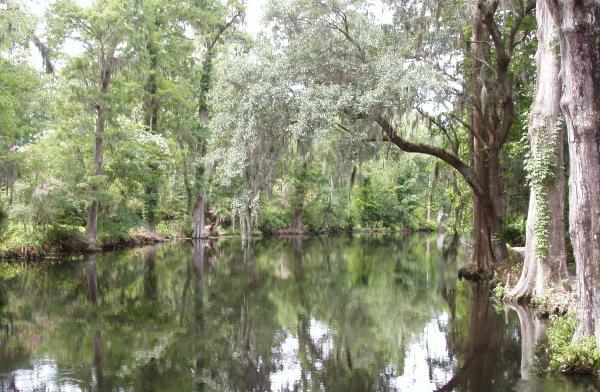 Charles Towne was the first settlement in the Carolinas, settled by the English 1670. Archaeological digging is still being done on the acreage but it is still an amazing place to be. It’s actually impossible to grasp the concept of how these people lived – here in a brand new world, months away from their homeland, their village guarded by palisades and marshes for fear of attack from either Spaniards or natives. Holes for posts from the original palisade were uncovered – which in itself amazes me – and a replica has been built in its place. A portion of the palisade is still being excavated, as are other areas within the site. 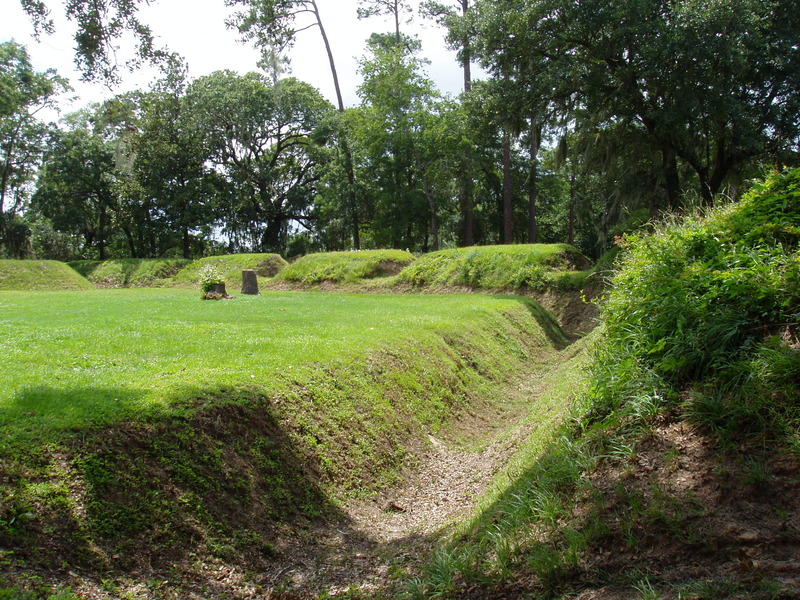 Still visible, are the earthen works and trenches for fortification of the settlement – which is similar to areas of Yorktown, Virginia and of Gettysburg, Pennsylvania. I’d love to come back here in a few years and see what else they’ve uncovered from this historic site… or to simply enjoy the gorgeous landscape. 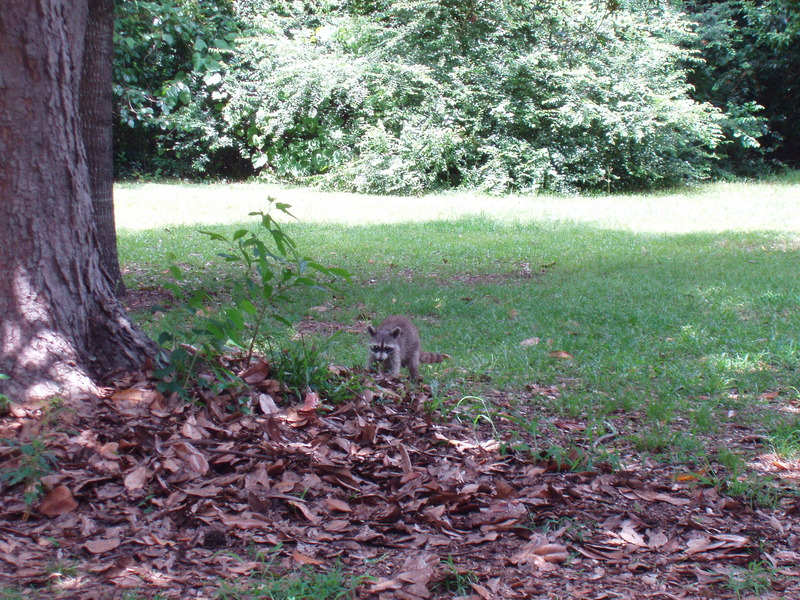 Apparently, there is a mama raccoon and her babies here. For some reason, it’s not unual to see members of this particular family nosing around the area during the day. I’m glad, because I’d hate to think this cutie was sick. I can’t believe our vacation is finally here. Well… almost finally here. We leave Tuesday for nearly a week in Charleston, South Carolina. I’ve been researching Charleston activities and have come up with an exciting list of must-dos. 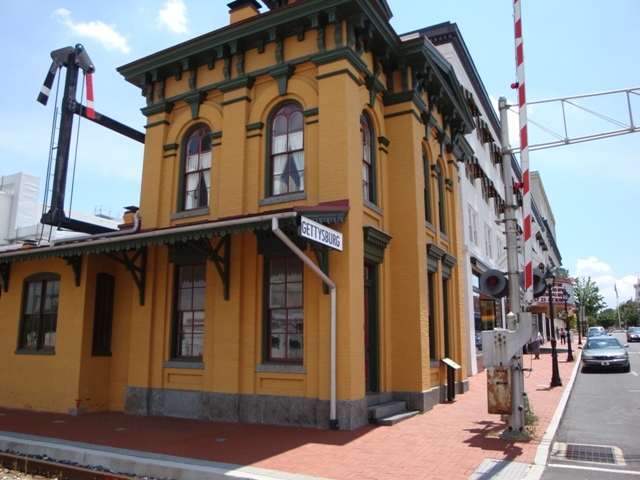 First on the list – because we’re all into anything historic – is the Civil War Walking Tour. That is a must. Actually, we’ll do that on our last day there because straight from Charleston, we’re driving up to Gettysburg, Pennsylvania where we will do the Union’s version of a Civil War walking tour. 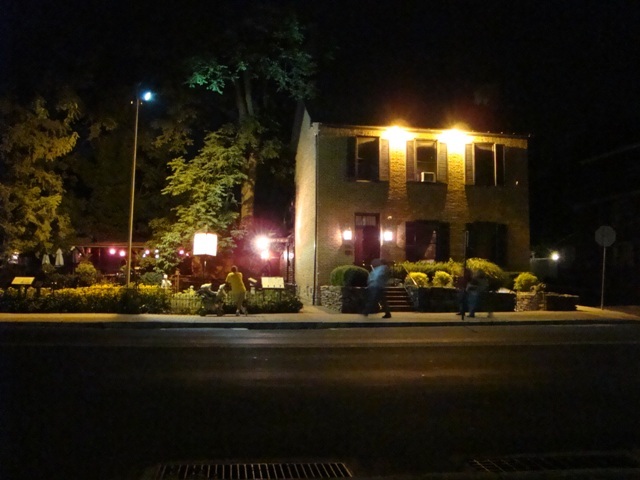 We’ve been to Gettysburg several times already but I’m going to say this upfront for any of you planning to go – Visit the Farnsworth House Inn. There is a civil war cannon shell sticking out of the side of the building, a building riddled with civil war bullets. They offer a ghost tour in their basement – which we have yet to attend but hope to this time. 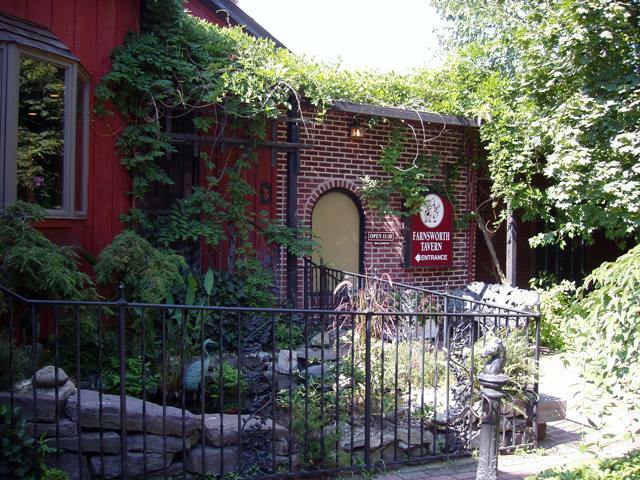 It is said a ghost walks the halls of this Inn – and people spend the night there!! And, best of all, in my opinion, they make the most amazing – A. Mazing. – spoon bread and pumpkin fritters in all the world. Every time we go there, I say I’m going to ask for a recipe but I chicken out. This time… this time… well… we’ll see. 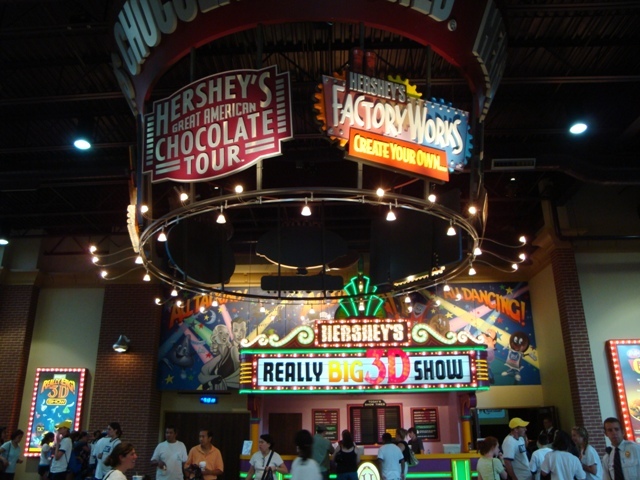 An hour closer to home from Gettysburg is Hershey Park, so, we’ll spend one day and night in Gettysburg and the final day in Hershey then head home. Ah, but Charleston will be the highlight. My must-do list is packed with exciting things – the Festival of Houses and Gardens, which says it all, I think. 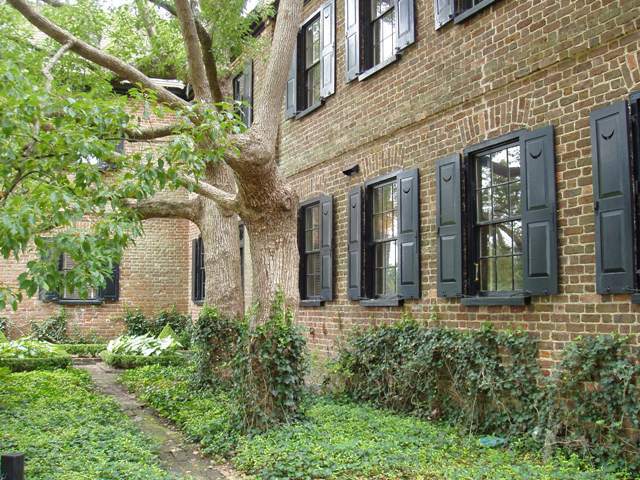 A visit to the Heyward-Washington House – which is a house built in 1772. Charlesston offers Ghost and Legend walks, Slavery and Freedom walks, of course the civil war walks and for one evening, a dinner cruise. Daughter is excited about the glass-bottom boat ride in the marsh. Yikes. Being on the water in a glass-bottom boat when crocs are following us with their eyes and hungry mouths… I dunno. “Fun” isn’t the word that leaps into my head. 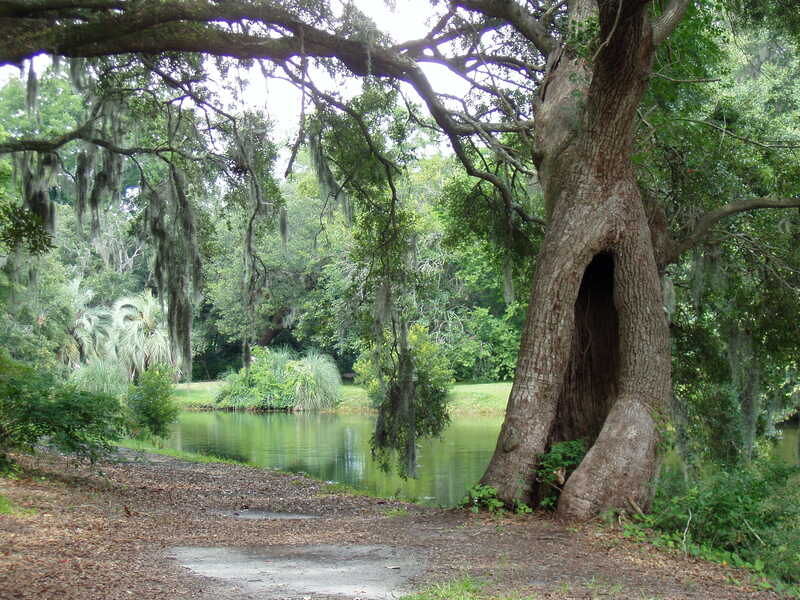 Of course, we will also visit Magnolia Plantation and Gardens. I’ve heard some truly amazing things about this place. It sounds like a full day trip. 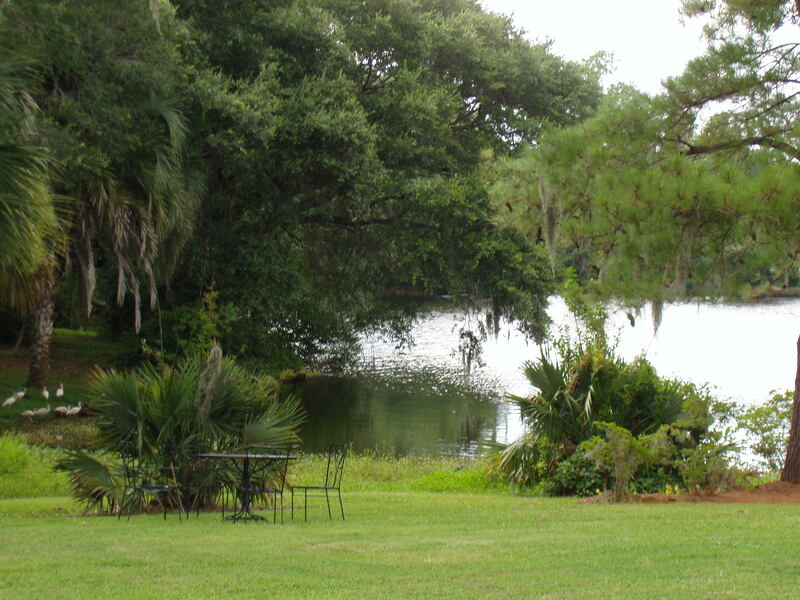 Sprawling grounds with bridges and ponds, gardens… ah, imagine how some of us lived way back when. As opposed to how others of us survived. Our week will be filled with excitement, I am sure. 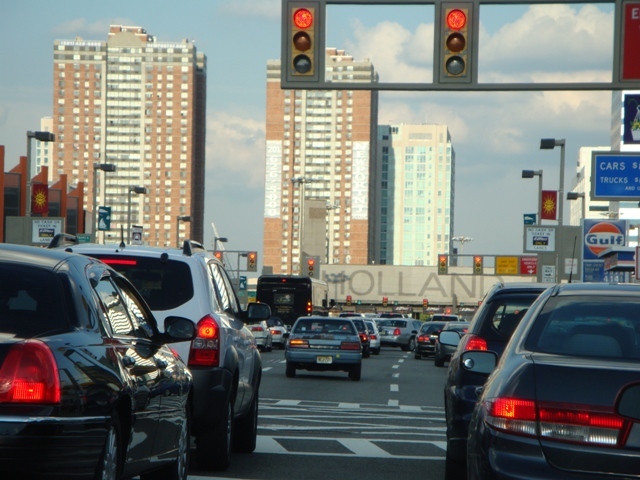 But two of the most exciting things I’m looking forward to are the ride down – there’s something about packing up the car with luggage and cooler and leaving in the wee hours of the morning that I find thrilling – and the hotel pool. Yay! Swimming. In a pool. I don’t care what state we’re in – a pool is a pool and we’re diving right in! Well… seriously, if these were your furry loves, you’d hate leaving them, too, wouldn’t you? We LOVE history. We don’t excel in it, but we love it. Especially living history. 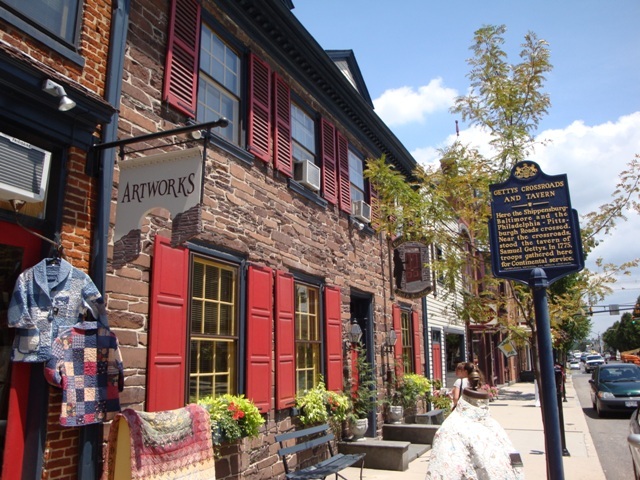 Our family vacations almost always include some kind of historical walking tour or immersion – like Gettysburg, Pennsylvania and Williamsburg, Virginia. So… where to go this year? That is the question. Recently we watched all episodes of North and South, Book I and Book II. Daughter LOVED them. Soon after, we watched Midnight in the Garden of Good and Evil. Daughter loved that as well. Her vacation suggestion, therefore, is to go to either Savanna, Georgia or Charleston, South Carolina. Since vacation for us is in July, I’m thinking both will be heat-stroke havens. BUT… we survived Disney World in mid-July one year, so we can survive one of these locales, yes? 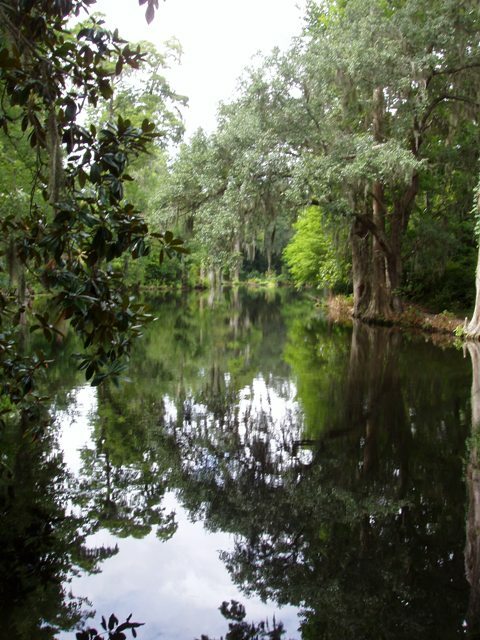 We also love the idea of the vast open space, the waterways and tours of plantation homes with all their original furnishing. 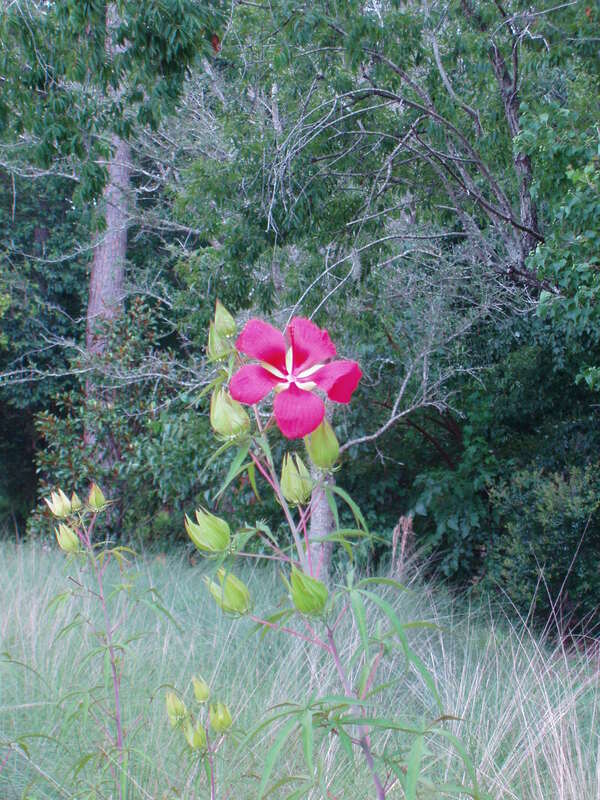 Nature trails and the like are also a treasure for us. I think this will be a great trip – especially since we might skip the idea of flying there and drive down instead. Yay!! 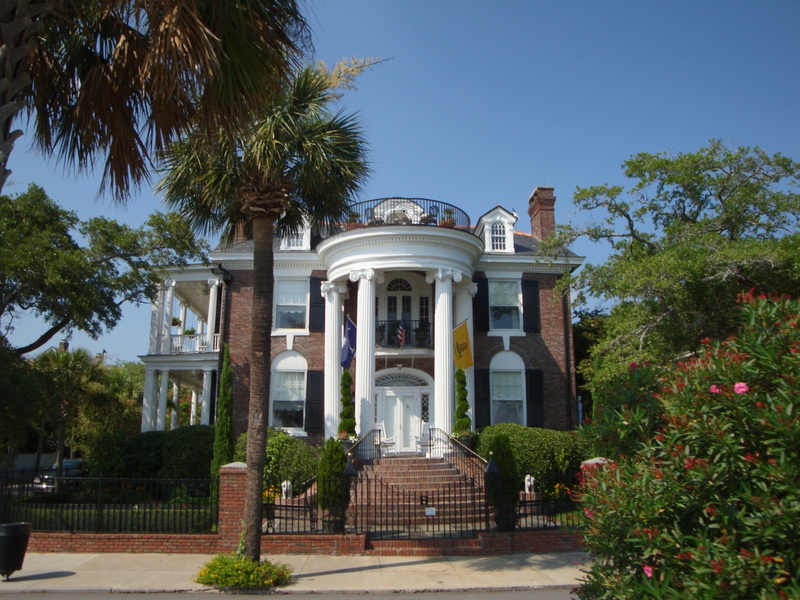 Have you been to Charleston? Are there any non-touristy must-sees we should know about? Any inside scoop on proper attire? 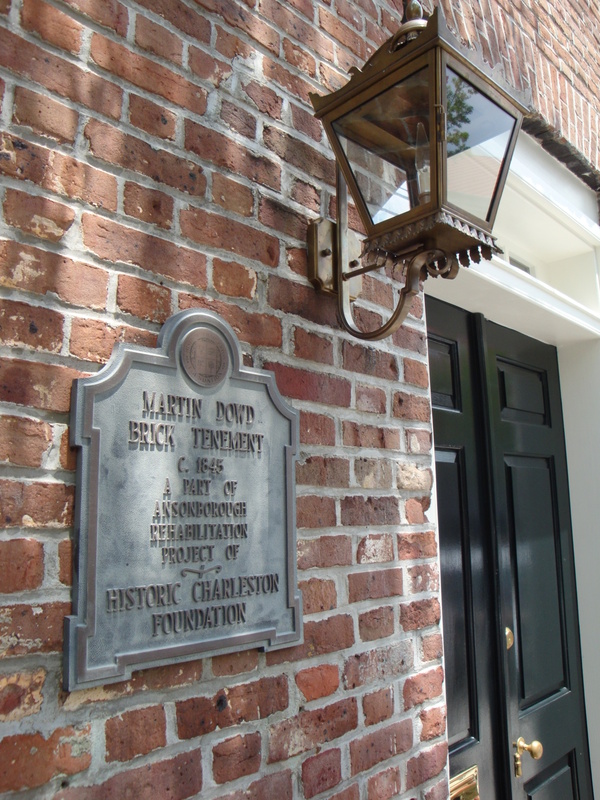 I ask that because I hear Historic Charleston is all about finery in the evenings. Is that true?